Complete guide to all the top Right Bank Bordeaux wines, wineries and vineyards with detailed profiles on all the best wines and chateau including wine tasting notes, histories, information on the vineyards, winemaking and wine with food pairing tips, and a wine buying guide as well. The guide to the Right Bank wines of Bordeaux includes all the best wines from St. Emilion, Pomerol, Cotes de Bordeaux, satellite appellations and Bordeaux Superieur wines. There are detailed maps of Pomerol and St. Emilion as well to help you navigate the appellation in the Right Bank Bordeaux wine guide. While Pomerol and Saint Emilion together have 1,533 hectares planted with grapevines. However, the entire area known as the Right Bank is much larger and more diverse, when you consider the important, satellite appellations. There is also a big different between Right Bank wines and Left Bank wine. On this page, you can read about all the different soils and terroirs, found in the Right Bank. We cover the famous clay soils of Pomerol and the limestone based vineyards found in many of the best St. Emilion terroirs. You can also find information on the gravel and sand terroirs located close to the Dordogne river found in the Right Bank of Bordeaux. There is a detailed analysis of the character and style found in the multitude of wines from the Right Bank of Bordeaux. This includes the best Right Bank Bordeaux wine producers from the most important Bordeaux wine producing appellations of the Right Bank: Pomerol and Saint Emilion. We also cover the best Value Bordeaux wine producers and the top chateaux located in best regions known for producing Bordeaux value wine, Bordeaux Superieur, Cotes de Bordeaux, Cotes de Castillon, Cotes de Francs, Fronsac Canon Fronsac, Lalande de Pomerol, St. Emilion Satellite Appelations and several other important, Right Bank Bordeaux satellite appellation areas. There are vintages that are definitely better for Right Bank Bordeaux wines than those in the Left Bank, it is not that simple. 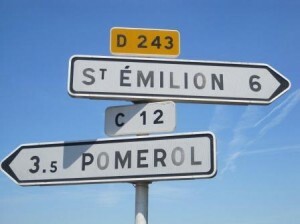 For example, there are years when Pomerol is much better than St. Emilion. Keeping that in mind, the best vintages for Right Bank Bordeaux wine are: 2009, 2015, 2016, 2010, 2005, 2000, 2001, 2012, 1998, 2008, 1990, 1989, 1985, 1982, 1970, 1964 and 1961. It is important to understand that part of these vintage assessments is the fact that for example, in 1982, very few Right Bank vineyards were producing great wine. That is clearly not the case today.